Older (circa 2014) septic tank pumping map. We have good news: Earth Care is offering a discount on septic pumping and maintenance to Truesdale Lake area residents (EarthCare was formerly Kaiser-Battistone, both are now part of Wind River Environmental) . 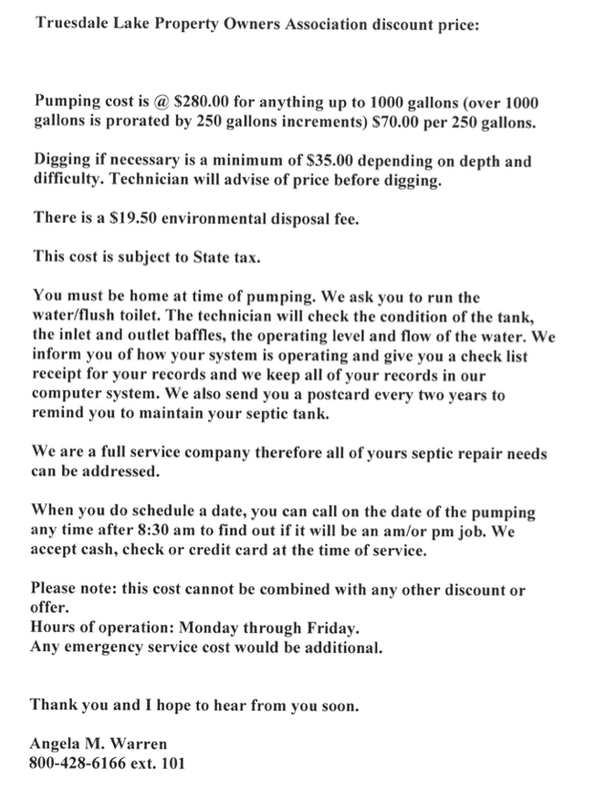 Cost for pumping tanks 1,000 gallons or smaller is $280.00 (regular cost is $320.00) with an additional environmental disposal fee and a digging fee. I have attached their Truesdale Lake letter to this article. 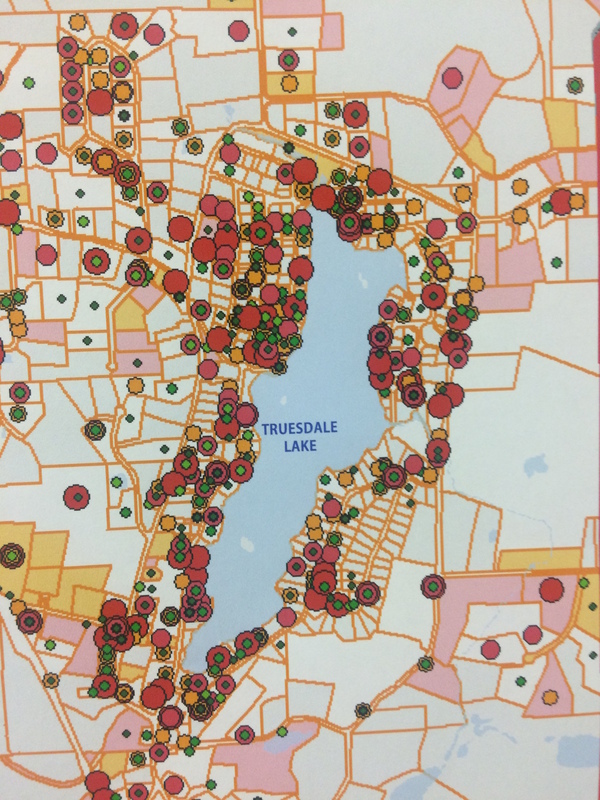 A well maintained population of septic tanks and systems in our watershed is vital to the ongoing health of Truesdale Lake. Westchester County law requires septic systems be pumped at a minimum every 5 years. Septic pumping companies in Westchester have been required to report their pumping activities to the county since 2011. The county now has a list of the status of all septic tanks in the county. At some point this information will be publicly available online in the Westchester County GIS system. Starting in May 2016 if you have not pumped your septic in the last 5 years, you can be fined starting at a minimum of $200 and increasing from there. Most households need pumping done more frequently than every 5 years. Recommendations are at least every 2-3 years to maintain an optimal working septic system. This is dependent on the number in the household and the size of the septic tank. Many lake area septic tanks are smaller size and need more frequent pumping — some as much as once a year. Earth Care included a brochure for septic systems that has helpful information on septic systems. Or you can click on the image to the right for the EPA Septic Brochure. Contact name and number for Earth Care is Angela Warren at 800-428-6166 ext. 101. If you have a question about septic systems and the law in Westchester County, call Patty Tornello-Adams at (914) 864-7360.